The Personal Training Studio Software can manage all aspects of your fitness business like payments and class scheduling. Get a free demo today! Each day brings sales and new memberships to set up. Virtuagym studio software transforms these tasks into fast, bite-sized processes, saving yout time. Our studio management software gives your members the freedom to view your class schedule, book classes and pay before they even step foot in your Personal Training studio. 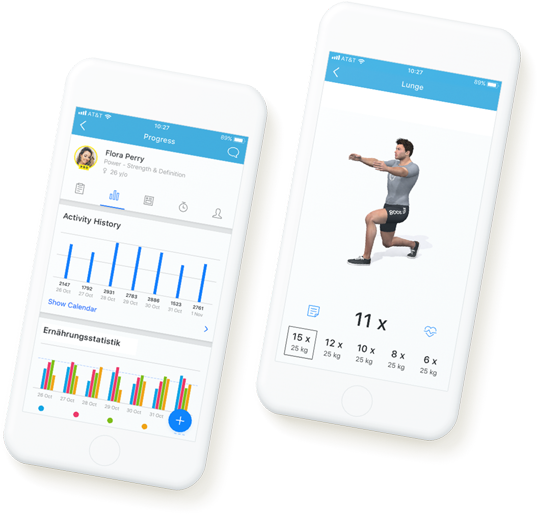 Virtuagym’s studio software gives you clear reporting dashboards and gives you actionable insights who can help you make informed business decisions. The definitive solution for managing your Personal Training studio. Unlock more time to dedicate to members, and streamline your workflow. Build a community with your own mobile app, connect members, stay up-to-date and drive long-term success with our studio management software. An engaged member is a loyal member. Increase touch points with your members and drive engagement with your own app. Easily personalize your messaging by targeting individual members or specific groups. Increase class bookings and attendance with flexible booking and communication tools. Transform your passion for personal training into a sustainable business. Set up flexible online member communication. Communicate new classes, motivational tips, special offers and more via Virtuagym’s communication features, which include private messaging, group messaging, marketing banners, and more. Automatically update instructors’ schedules when a student books a class. Virtuagym’s studio scheduling software allows your members to book classes independently, whether online or via your scheduling app.